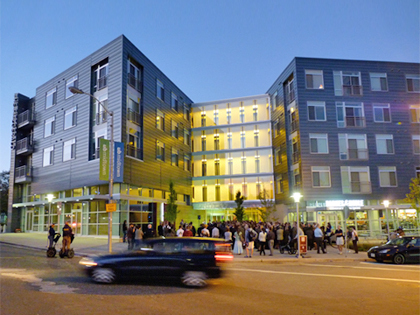 The Fitzgerald LEED certified residential building, which opened in October 2010, is now unveiling a public electric car charging station at the site. On Thursday, March 31st, The Fitzgerald is unveiling two brand new Electrical Vehicle (EV) chargers in their parking garage. Not only is this a first for a residential building in the Mid-Atlantic region, but the EV chargers will be open to the public! From 10-11am, they will be demonstrating the EV chargers and letting people test drive some brand new Electrical Vehicles. To learn more at The Fitzgerald blog, CLICK HERE.